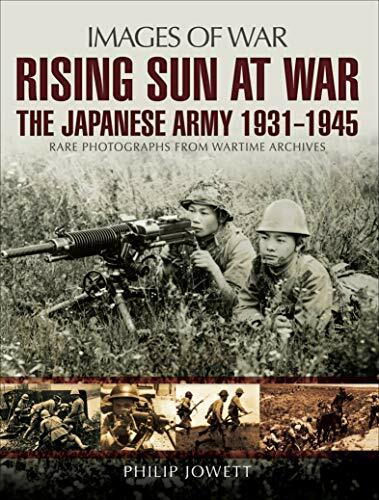 [PDF] Rising Sun at War: The Japanese Army 1931 - 1945 | Free eBooks Download - EBOOKEE! Description: The Japanese Imperial Army was the most powerful force in the Far East through the 1930s and early 1940s, and this photographic history is the ideal introduction to it. In a vivid selection of archive images, most of which have not been published before, Philip Jowett covers its role in a series of conflicts, beginning with its invasion of Manchuria in 1931 until its final defeat in the Pacific War in August 1945. He describes the development of the army, its structure and organization and its expansion during these years, and illustrates its actions in a series of campaigns that are often overlooked in other books on the subject, including those in China between 1931 and 1937 and the Nomonhan campaign against the Soviet Union in 1938. The extraordinary ambition of the Japanese military during these years is dramatically revealed through the photographs and the accompanying text, and the book provides a graphic record of the Japanese armys performance against the opposing forces that were eventually ranged against it the Chinese, British, Soviets and Americans. No comments for "[PDF] Rising Sun at War: The Japanese Army 1931 - 1945".